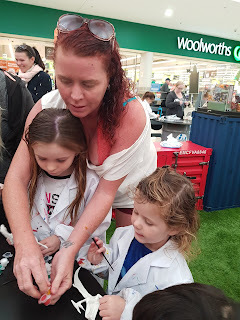 Today we met up with some friends at the shopping centre so the kids could do the free activity - painting dinosaurs! 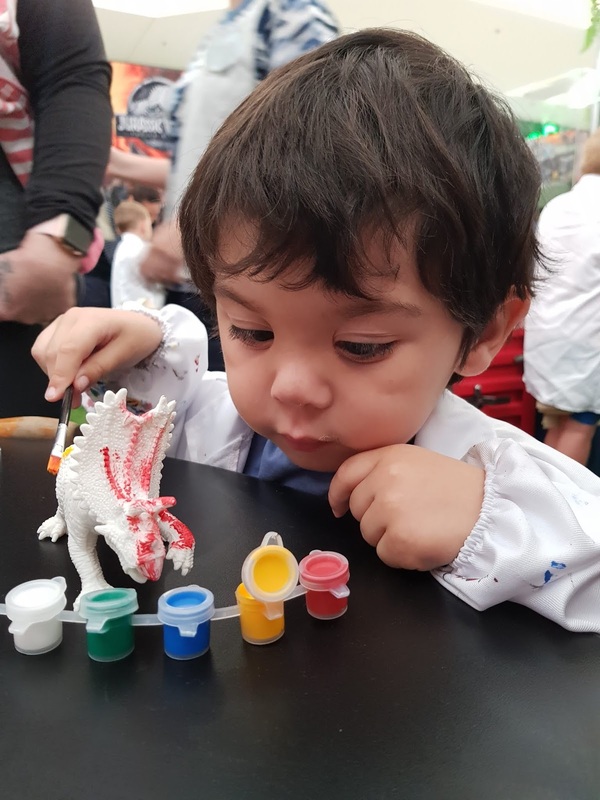 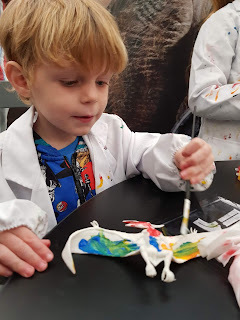 It was a great set up- the kids had lab coats to wear and got a bag with a plastic dinosaur, brush and paints. 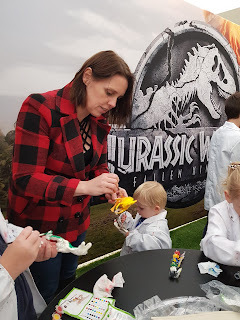 There were a few different dinosaurs for the kids to chose from and a girl gave us each a 2nd bag for the kids to paint later. 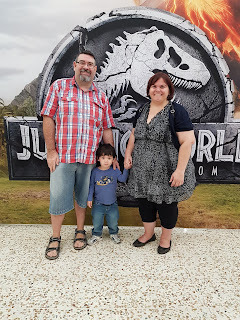 The kids also got a free meal voucher and an ice cream coupon. Clay had a wonderful time and it was fabulous to catch up with everyone.